In a nutshell, AdWords is a paid advertising system developed by Google. It gives advertisers the opportunity to bid on certain keywords in order for their ads to appear across the Google Network. This is how Google makes money from its free search engine service. In this article I’ll be covering some of the key aspects of Google AdWords and how it can help your business - keeping it as simple to understand as possible. If at any point you have a question, just get in touch or leave a question in the comments and I will help as best I can. Advertisers identify keywords and create ads that get selected by Google when a user performs a search. The keyword deemed relevant by Google will be entered into an auction along with the advertiser’s maximum bid and corresponding ad. Google performs an Auction in which it orders entries by Ad Rank and displays them to users alongside search results. Now, there’s a lot more to it than that obviously, however, we’ll run through some of the key aspects below to help clear things up. Interested in knowing more? WordStream have a great infographic that explains the whole process in a lot more detail. AdWords is a huge platform but I’ve outlined some of the key aspects that you should be aware of. Account budgets are one of the most important settings in any AdWords account. Google works on Daily budgets which advertisers set at a campaign level. If you have a monthly budget amount you’ll need to divide that by 30.1 (the average number of days in a month over the year) to get to your daily budget. Essentially, campaigns are your top level categories and each campaign consists of one or more ad groups. With campaigns you can control things like budget, language, location and more. It’s good practice to organise your ad groups into common themes like the types of products or services you provide. You set a bid to be used when keywords trigger an ad in the group to appear - this is known as cost-per-click (CPC) bid. 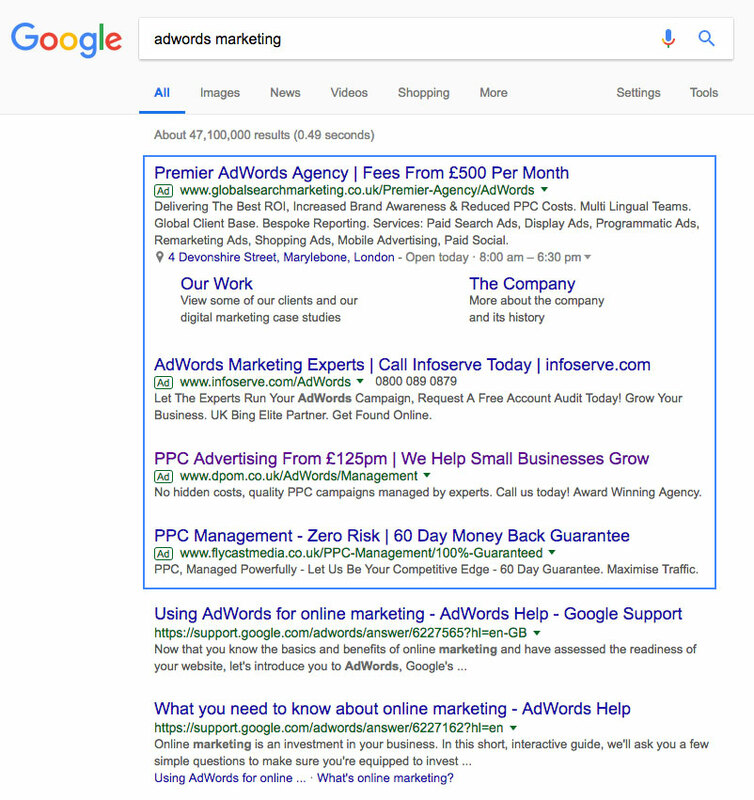 Search Ads...appear next to search results on Google. Display Ads...appear across Gmail and a network of over two million websites and apps with either text or banner ads available. Video Ads...appear on YouTube and let’s your business come to life in front of new customers in a unique way to share your story. App Ads...allow you to promote your app by running ads across the entire Google network – no design experience required. You identify keywords you want to bid for and add them into ad groups. When a user performs a search, Google will evaluate your keywords and if it deems one relevant, select it to be entered into auction. So, should I give Google AdWords a try? Google AdWords is one of the best ways to reach your target audience at the specific moment they are looking for your products or services. It can be optimised to target specific locations, times of day, demographics and more. This makes Google AdWords an exceptional (and profitable) opportunity that shouldn’t be underestimated and provides you with the chance to win sales before your competitor does. So the short answer is, yes. A slightly longer answer is: AdWords is a big investment in both time and money and for small businesses, unfortunately, time and cash flow can sometimes limit marketing activities. However, we all know money makes money and marketing your business is one of the most important things you should never overlook, so if can set aside some time and budget, then a well optimised AdWords campaign can provide a positive ROI, even on the smallest of budgets. Do not underestimate AdWords - many businesses hate AdWords and will yell until they are blue in the face that it doesn’t work. 9 times out of 10 you’ll find that those accounts have been poorly crafted, there’s been no thought put into target audiences, keyword selection, ad rotations (etc, etc) and all traffic is sent generically to their poorly optimised homepage. After a week of no leads and budget spent, business owners s**t the bed and lose interest and it can be a very expensive mistake, especially for small businesses. I would always recommend doing as much research as possible and advise speaking with a professional who has experience in managing AdWords campaigns before you try it yourself. 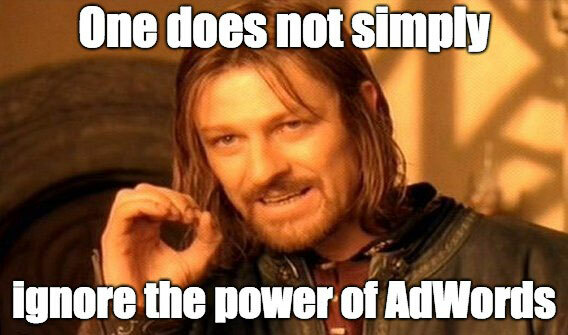 If you’re interested in AdWords and want to chat through some options, do not hesitate to get in touch. Does my website play a part? Yes, it sure does, and more than you might think, too. One of the components of your Quality Score is landing page experience which measures how well your website gives people what they’re looking for when they click on your ad. This means that making AdWords work isn’t isolated to AdWords itself - sending highly targeted users from relevant ads to the wrong page on your website is one of the biggest mistakes I see inexperienced advertisers make and can lead to low conversion rates and paying more for clicks! Make sure your ads are relevant to your keywords and the user’s search - then make sure they land on a page on your website that the ad they’ve just clicked on (and you’ve paid for) is relevant and highly optimised. You’ll also want to use Google Analytics data and conversion tracking on your website to feed back into your AdWords campaigns to help you evaluate, refine and optimise your campaigns so be sure to link your Adwords and Analytics accounts. AdWords can put your business’s brand, products and/or services in front of users exactly when they are searching for them. On top of this, the display network (which we haven’t even touched upon in this article) can provide highly targeted re-engagement ads to users across the Google Network. This provides almost limitless possibilities to target your ideal customers and really optimise ROI. Although AdWords can be complex it’s entirely possible to run optimised and profitable campaigns with low cost-per-click (CPC) and budgets so it’s definitely worth the investment, both in time and money. With that being said, set a sensible budget (I generally advise around £300 per month as a minimum, however, there is no minimum budget in AdWords) and start small, target locally and expand with success. Focus keywords on your products and services and group them by theme in ad groups. Make sure your ads are relevant and land a user on a page on your website that is relevant to their search and the ad they clicked on. And finally, be sure that you are tracking conversions and monitoring your campaigns on a weekly basis - not knowing what is and isn’t working makes improvement impossible. 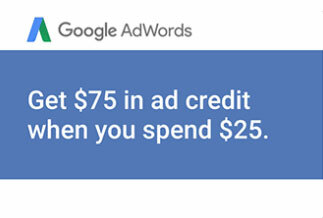 And one last thing, Google offer (at the time of writing anyways) a free £75 AdWords coupon for all new advertisers. If you need help or advise on creating a new or optimising an existing AdWords campaign then get in touch and let’s see how we can promote your business online with Google AdWords. Follow me on social media or leave a comment at the bottom and I will be happy to help as much as possible. Be kept up-to-date with all the latest blog updates directly to your inbox - don't worry I won't spam your mailbox and your can easily unsubscribe at any time. Web designer and developer with nearly 10 years experience in the web industry. 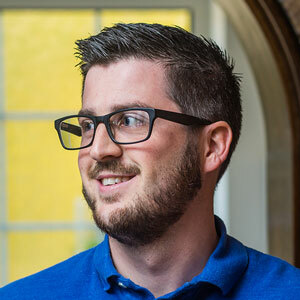 I've worked primarily with small businesses helping them succeed online with custom web solutions and digital marketing. Keep up-to-date with the latest news, articles and insights. You can change your mind at any time by clicking the unsubscribe link in the footer of any email you receive from us, or by contacting us at info@mbwebstudios.co.uk. We will treat your information with respect. For more information about our privacy practices please visit our website. By clicking below, you agree that we may process your information in accordance with these terms. Thank you! Almost finished... We need to confirm your email address. To complete the subscription process, please click the link in the email we just sent you.our submission has been received!